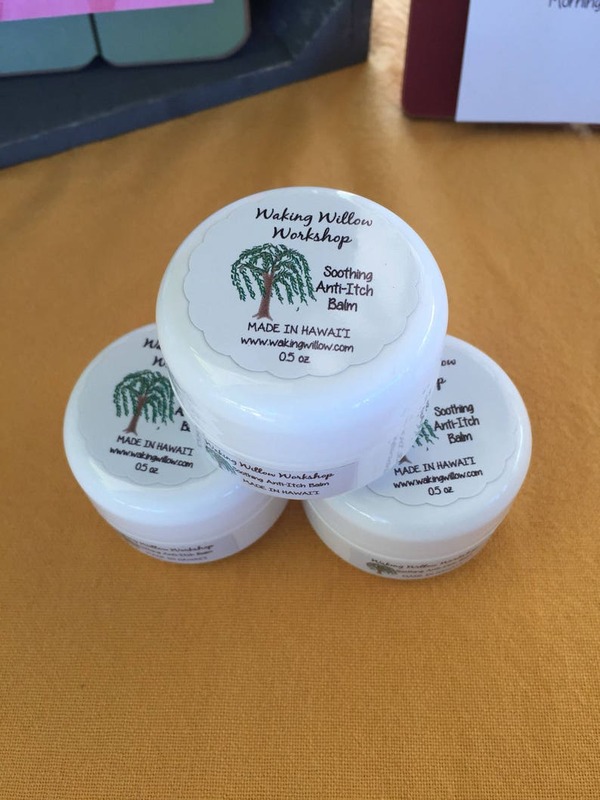 This handcrafted anti-itch balm is wonderful for skin irritations and itching. It contains all-natural ingredients which provide a soothing and effective relief. Made with bentonite clay, which aids in helping the body expel toxins and reduce inflammation. Ingredients: Cocoa Butter*, Coconut Oil*, Calendula Oil**, Beeswax*, Bentonite Clay+, Sodium Bicarbonate++, Distilled Witch Hazel*, and Essential Oil Blend of Peppermint, Melaleuca, Lavender, Lemon, Geranium, and Eucalyptus. ++Manufactured to NSF standards for food and dietary purposes, and is within NOP standards for organic production. Available in 0.25 oz and 0.5 oz containers. Side note: if you notice small white spots in this product, it is just the separation of the fatty acids from the Cocoa Butter. Skin butters like shea, mango, and cocoa all have different melting points. They contain fatty acids and vitamins, which have different melting/cooling points than the stearic acid in them. These grain-like speckles are especially prevalent in our humid Hawai'i weather, But, please be assured, the efficacy of the product is still intact.